Mobile gamers can play over 100 titles as much as they want for a recurring weekly subscription, thanks to Upstream’s new portal. GAMEDOM is an HTML5-based gaming platform, which offers all-you-can-eat access to over 100 top gaming titles in over 10 categories. No installation is needed and there’s no advertising. The platform gives mobile operators the chance to offer a service gamers can enjoy whatever phone or OS they use. There’s a Lite version for markets where devices, internet connections and technology infrastructure are less advanced. And payments can be made by carrier billing. The portal has already launched in Brazil and Nicaragua, with Qatar and Nigeria expected to follow over the summer. Last year, AVG launched its Family Graph service to keep families close on mobile. Now, it has its first Latin America deployment. Tigo Guatemala has adapted the tool to help serve and retain family subscribers. Family Graph lets family members see each other’s locations and set up alerts when others arrive or leave work, school, or other places. The service extends subscriber lifetimes and reduces churn. Aussie payment specialist Mobile Embrace is bringing ‘pay by mobile bill’ to Norway’s 5.8 million Telenor subscribers. The deal makes Norway the third Telenor market to launch with Mobile Embrace, following the successful launch with Telenor’s Digi in Malaysia and Telenor Pakistan. Telenor operates in other Nordic regional markets as well as in the Central and Eastern European and Asian markets. Shops across the Czech Republic can now use a tablet-based card reader called eKasa made by Wirecard and O2 Czech Republic. The reader processes all payment transactions like a traditional fixed till system, but it’s cheaper and more flexible. It also conforms to government directives on payment processing. 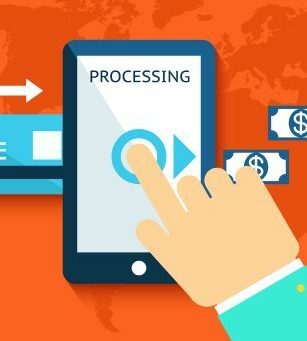 Indonesian merchants have a new payment acceptance option called D-Pay. D-Pay is designed for retailers that lack sufficient revenue to qualify for traditional POS services. It’s the result of a collaboration between telco Indosat Ooredoo and processor GoSwiff. BNI is the acquiring bank for the launch. Prashant Gokarn, chief of new business and innovation officer at Indosat Ooredoo, said: “It’s the answer for small and medium retailers who need alternative payment methods but their business size makes standard banking solutions expensive”.